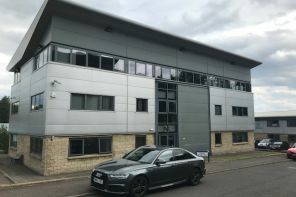 The property is formed to the south of Eagle Street, within Craighall Business Park which is located to the north of Craighall Road, adjacent to the M8 motorway and approximately 1.5 miles north of Glasgow City Centre. Craighall Business Park enjoys an elevated position above the Forth and Clyde Canal, which has recently undergone significant investment, with local occupiers including Pinkston Watersports, Scottish Opera and The Whisky Bond. The Business Park is well placed for public transport, with regular bus services passing along Craighall Road, Saracen Street and Keppochhill Road whilst Springburn railway station is approximately 1.5 miles to the north west. The property is also within easy walking distance of St Georges Cross Subway Station as well as Glasgow City Centre. The Business Park is generally characterised by a mix of pavilion style buildings, with varied occupiers including Elmwood Projects, McQueens Dairies and Bield housing Association. The Park also benefits from a café which is located close to the property. The property comprises a second floor office suite formed within a modern detached office pavilion, being three storeys in height, being steel framed and finished in facing brick and insulated metal cladding. Excellent natural daylighting is provided by means of double glazed aluminium framed windows throughout. The building is entered via a feature common entrance doorway which leads to an attractive full height reception area with stairwell and lift access to the second floor office space. There are separate male and female toilets at each floor which provide modern facilities. In addition, there is a shower room for use by all occupiers within the building. The office space is entered from the second floor landing, and provides open plan accommodation which enjoys excellent views over the city and beyond.